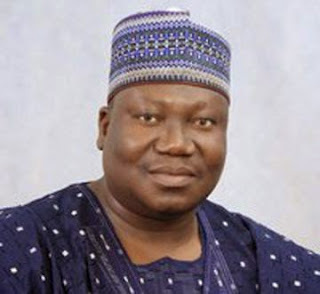 Ahmed Ibrahim Lawan - a Senator of the Federal Republic of Nigeria was born in 1959. He is an indigene of Yobe State. Ahmed Ibrahim Lawan obtained a Bachelor's Degree in Geography and thereafter a Masters and Doctorate Degree all in Remote Sensing. Ahmed Ibrahim Lawan was elected into the House of Representatives in 1999 and at different times he chaired the House Committees on education and agriculture. Yobe North Constituency under the platform of the All Nigerian Peoples Party(ANPP). In 2009, as chairman of the Senate committee on Public Accounts, he initiated and sponsored the Desertification Control Commission Bill. In August 2009, Ahmed Ibrahim Lawan courageously spoke against the proposed Kafin Zaki Dam. He stated that the Tiga Dam and Challawa Gorge Dam was the cause of the reduced water flow in the State and the Jama'are River was now the main source of water in the Yobe River. He added that the dams caused intense poverty, increased desert encroachment, migration and conflicts between arable farmers and herdsmen. In 2011, Ahmed Ibrahim Lawan subsequently ran for the senatorial seat for Yobe North and he was reelected under the platform of ANPP. In 2015, under the Platform of the All Progressive Congress(APC) he again contested for the Yobe North Senatorial seat and won.